Make Strogili Traditional Houses your summer vacation getaway! The Strogili Traditional Houses Santorini Hotel complex lies at the beautiful settlement of Oia (Ia), on the northwestern side of Santorini Island. 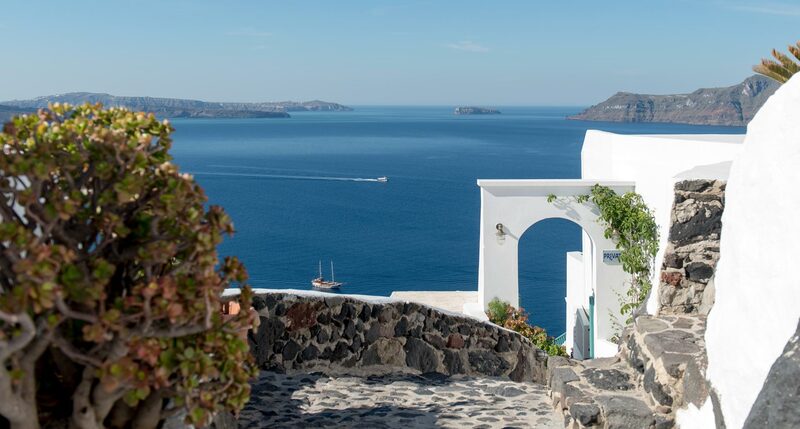 Oia (Ia) is situated in a very privileged area of the island, offering spellbinding vistas of the Caldera, making it the ideal vacation spot. Many of our visitors consider the Strogili Traditional Studios, Rooms, Cave Houses & Cave Villas to offer some of the most attractive Oia Santorini cave houses & cave villas, studios & rooms accommodation. 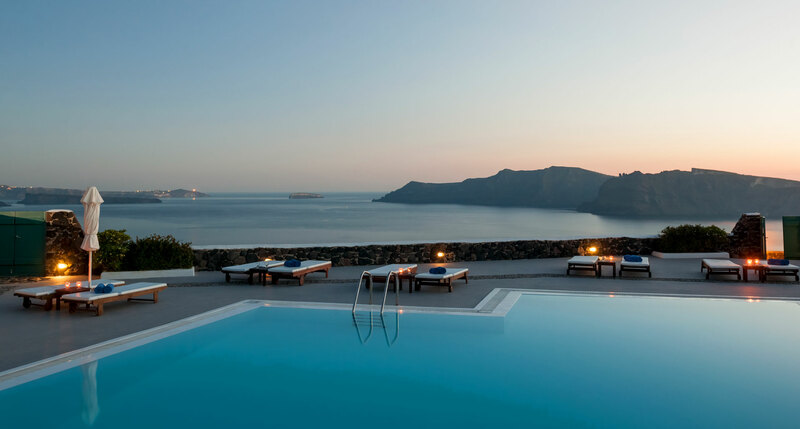 The Strogili Traditional Houses hotel in Oia, Santorini comprises of traditionally designed Santorini studios, rooms, cave houses & villas for rent, with spacious verandas overlooking Santorini’s famous volcano and the deep blue Aegean Sea. It is surrounded by a verdant garden, creating a relaxing backdrop in a peaceful environment, ideal for families, couples and groups of friends who desire to experience moments of unwinding. We will be glad to welcome you all year round at the Strogili Traditional Houses hotel studios, rooms, cave houses & villas in Oia Santorini, offering genuine hospitality and warmth aiming at making your dream holiday come true. The Strogili Traditional Houses complex in Santorini provides you with first class hotel facilities and services to make your stay with us comfortable and relaxing..
Santorini is considered the most magical island of Greece and is one of the most frequented vacation destinations in the world.. When time for vacation is approaching and your mind is focused on beautiful beaches and moments of unwinding, it is also time to carefully select your vacation accommodation! Oia (Ia), the most charming settlement in Santorini, is situated on the north western corner of the island. 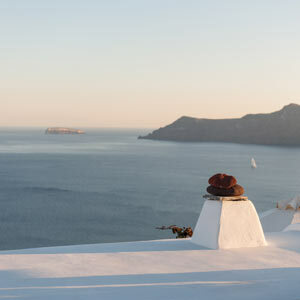 From Oia (Ia), visitors are treated to one of the best views in the world: the Aegean Sea, the volcano and the sunset. It is the ideal destination for those who want to spend their holiday in a peaceful and hospitable village with traditional Cycladic characteristics, such as narrow alleyways and whitewashed houses. No other place on earth can be compared with the wild beauty of Santorini Island, where the mysterious volcano and the most stunning sunset views can be found. Santorini is one of the world’s prime holiday spots, host to thousands of visitors every year. Whether you are vacationing with your significant other, family or friends, Santorini is the place for you. It offers something for everyone, such as crystal-clear waters, volcanic sands, impressive historical sites and stimulating nightlife.